I installed Parallels Desktop for Mac and Windows taskbar is now placed behind the Mac Dock. How do I get the Windows taskbar to appear above the Dock? This is a new behavior of Windows taskbar in Coherence in Parallels Desktop. Such changes were made to make Coherence view mode even more optimized for working with full screen apps, especially in for modern versions of Windows . It also makes Parallels Desktop fully compatible with new macOS. See Advanced description for more details. Coherence view mode is designed to "remove" Windows Desktop and make Windows applications appear as if they were native Mac applications. That is the reason why Windows taskbar is by default hidden. 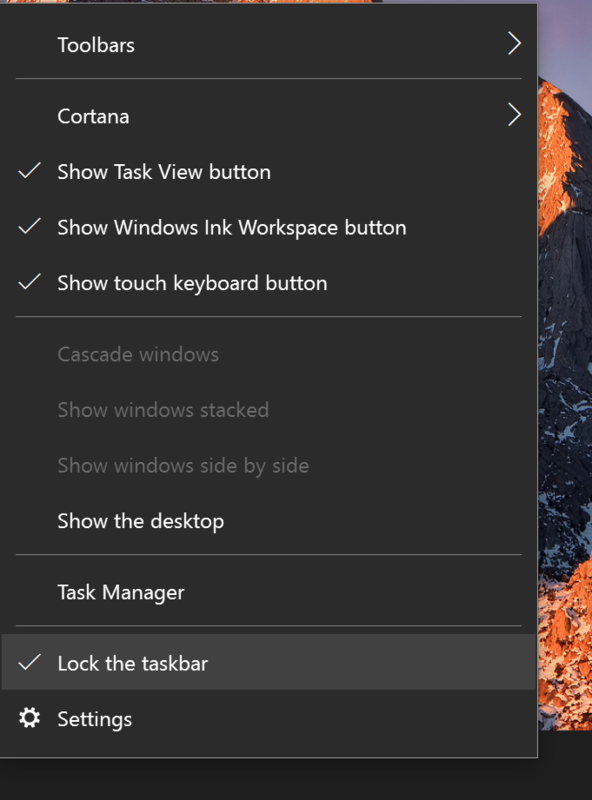 If you still need Windows taskbar to appear on the screen, you can activate it clicking on Parallels menu in the top menu bar > View > Show Windows Taskbar. Imagine you have a Mac with default screen resolution of 1440x900. 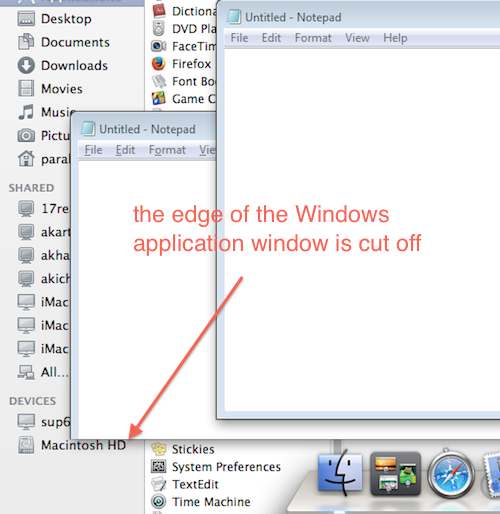 In order to implement Coherence view mode we would forcibly cut the Mac screen so that Windows applications' windows would not go under the Mac menubar or under the Dock. So the real screen resolution available for Windows Virtual Machine was 1440x(900 - Mac menubar (22) - Dock area (68)), which, in effect, equals to 1440x810. It perfectly worked for Windows guest Operating Systems from Windows XP to Windows 7, however in case of modern Windows versions it could sometimes cause issues especially when working with Windows full screen apps. After modern versions of Windows and macOS were released it became clear the old scheme of Coherence view mode will cause even more issues when working with Windows 8/8.1/10 applications on macOS host Mac. That is why the decision was made to fully adopt native Mac screen resolution for Coherence view mode. Let us go back to our example: we have a Mac with default screen resolution of 1440x900. Now we use all Mac screen for working with Windows applications. So now Windows applications can behave just like Mac applications: they can use all working area and even go behind the Dock. 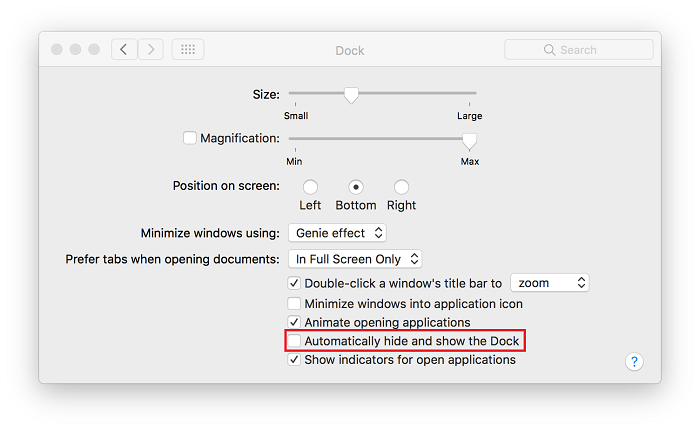 You may have noticed that even though Coherence view mode can now work with all Mac screen, Windows applications are still limited by Mac menubar and the Dock, i.e. 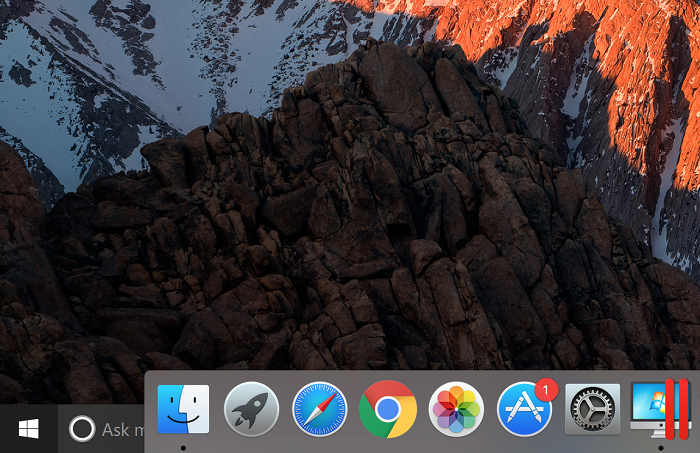 even if maximized they do not go under Mac menubar and the Dock (if it is enabled). It is done by defining a limited “working area” which prevents Windows applications from going under the Mac menubar and makes them behave just like Mac applications. 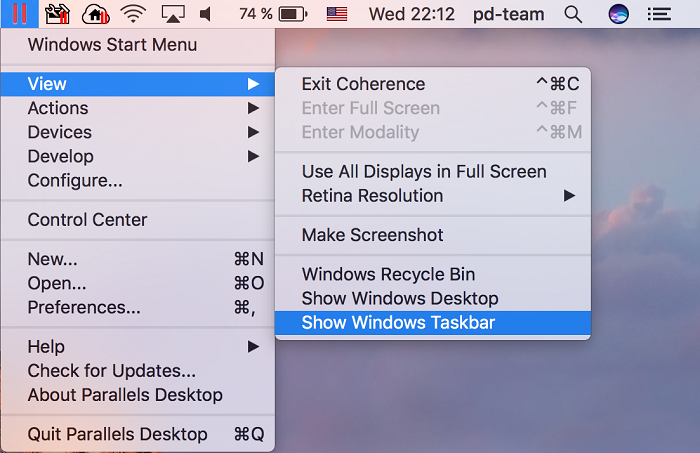 So why Windows Task bar still goes behind the Mac Dock? Windows Taskbar is designed to stand outside the working area and it itself operates as a delimiter of the working area. That is why it inevitably goes to the bottom of Mac screen (as it does on standard Windows screen) and thus gets overlapped with Mac Dock.